Nachdem kürzlich erst die Nintendo Switch Version vom Stapel lief, reichen die Entwickler der Red Hook Studios am 28. Februar endlich die Xbox-Fassung nach. Innerhalb der ersten zwei Monate wird das Spiel dabei in der Crimson Edition (24.99 Dollar) erhältlich sein. Diese umfasst das Hauptspiel und die Erweiterung The Crimson Court. Der DLC “The Shieldbreaker” kann zusätzlich (für 3.99 Dollar) heruntergeladen werden. Ab dem 29. April wird die Crimson Edition durch die Standard Version ersetzt und somit nicht mehr zum Verkauf stehen. 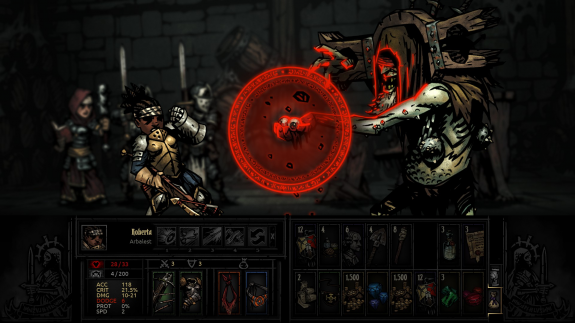 Darkest Dungeon pre-orders open on XBOX ONE on February 21st, and releases on the 28th! To celebrate Darkest Dungeon arriving on XBOX ONE, Darkest Dungeon®: Crimson Edition will be priced at $24.99 USD for a limited time. 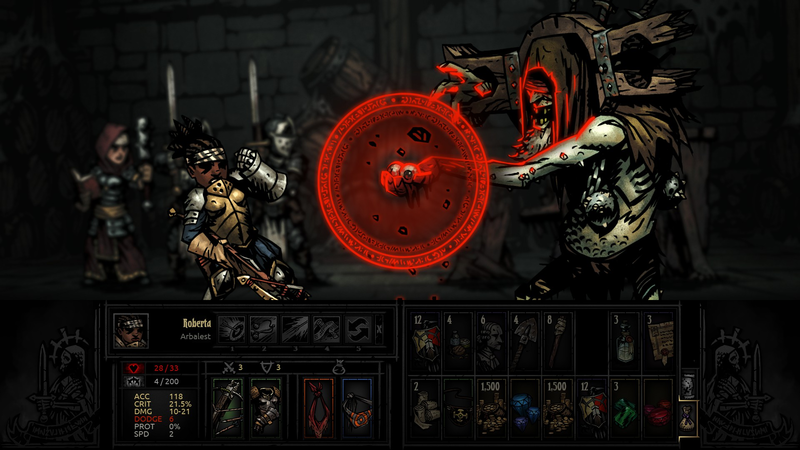 Darkest Dungeon®: Crimson Edition contains the Darkest Dungeon base game and The Crimson Court DLC. You will be able to pre-order it starting February 21st and this limited time offer will last for 60 days after our release on February 28th. When porting to XBOX ONE we had a choice to make between new exclusive content for XBOX ONE owners only or to bundle Crimson Court DLC free for a limited time. We decided the latter was the best way to celebrate the launch, and ensure that none of our existing players were locked out of any possible new content.